Copyright Notice: Peter Rabbit™ © Frederick Warne & Co. Limited and Silvergate PPL Limited, 2018. All rights reserved. These are the official Peter Rabbit™ licensed characters, Peter Rabbit™. We take care of everything; our full service includes the copyrighted Peter Rabbit costume, trained performer and Road Manager (minder) to accompany the character. Please visit our character events page to find out more. Due to the nature of the events we manage, we are not able to supply characters for private children’s parties or similar events. Our licensed Peter Rabbit costumes are not available to hire on a costume-only basis. Peter Rabbit characters are booked at a single day or an overnight rate, depending on event location, rather than for shorter time periods. So not only will you get the Peter Rabbit costume hire, but an experienced character performer who will be able to expertly bring the character to life through movement and characteristics. Our aim is to make these famous characters as realistic as possible – creating a magical experience for children when they meet the characters. 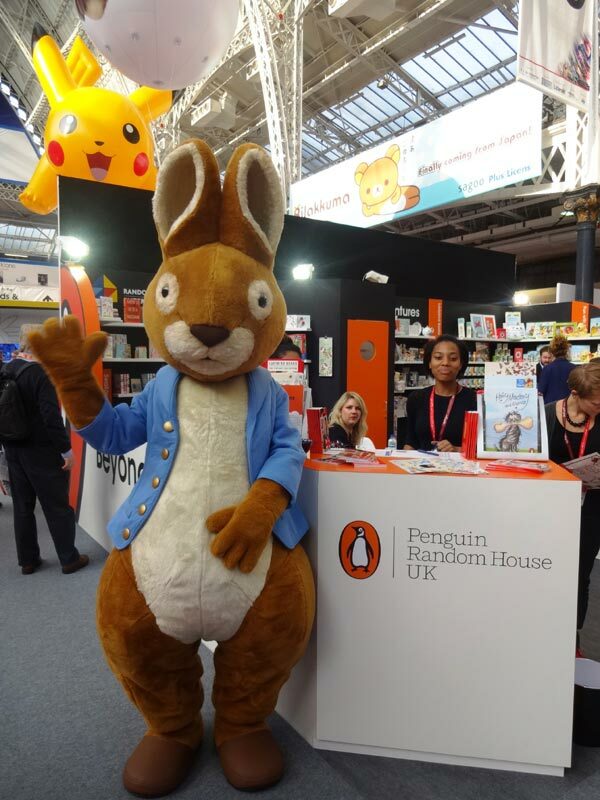 Whether you want to hire your Peter Rabbit Mascot for a book launch, an open day, or a children’s festival – our professional team will be able to assist with creating the perfect fairytale accompaniment to your event. Classic Peter Rabbit: The Tale of Peter Rabbit was Beatrix Potter’s first book, published in 1902. Families all over the world know the classic tale of his escape from Mr. McGregor’s garden. Peter Rabbit was was based on a real rabbit kept by Beatrix Potter who’s favourite food was radishes, not carrots like other bunnies, and was very good at tricks. Peter Rabbit has since become Beatrix Potter’s most infamous character and features in a number of her other titles. Peter Rabbit from the TV series: This timeless, mischievous hero has been brought to life in a brand new TV series produced by Silvergate Media in conjunction with Penguin UK and Nickelodeon USA, animated by Brown Bag Films.The series is based on Beatrix Potter’s The Tales of Peter Rabbit and was launched on CBeebies in June 2013. Peter Rabbit is no ordinary rabbit; he is suited and booted in a blue jacket and shoes. However, Peter is far from a well behaved rabbit! His brave and courageous nature means he is always looking for an adventure. Peter’s favourite adventure of the day is sneaking into Mr. McGregor’s garden and snacking on his favourite food – radishes – and lots of them! Like real rabbits, Peter is speedy, which makes for a great escape. 2016 celebrated the 150th Anniversary of Beatrix Potter’s birth. Beatrix Potter’s books are a publishing sensation with over 2 million books being sold every year. The Tale of Peter Rabbit is now one of the best-selling children’s classics of all time, with over 45 million copies sold, and has been translated into 45 different languages including a hieroglyphic version. Peter Rabbit is considered the oldest licensed character in the world, further to Beatrix Potter’s forward-thinking as a business woman. 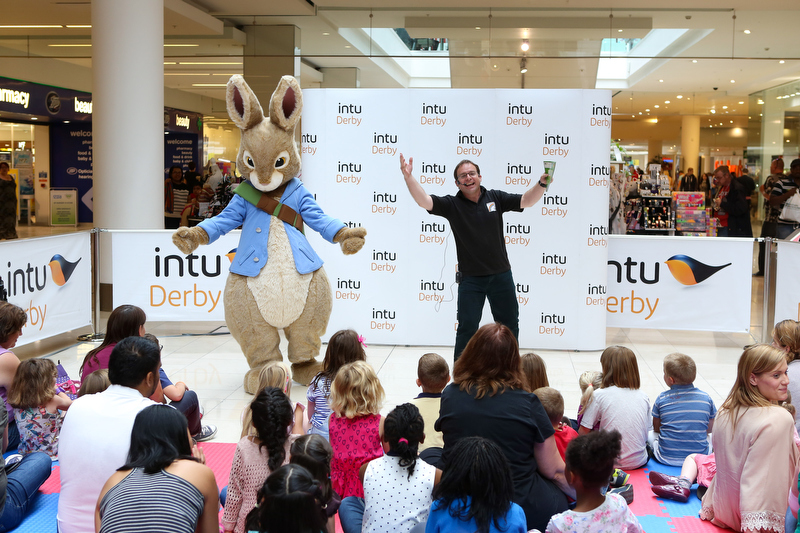 Peter Rabbit mascot hire has been popular for several decades – as has it depiction on TV and stage. ‘The Tales of Beatrix Potter’ – a film using ballet to show Potter’s costumed characters through dance was aired in the 1970s, and later adapted for the Royal Opera House in 1992! The Peter Rabbit TV animation has won several Daytime Emmy Awards. Live-action/CGI animated Peter Rabbit movie is set to hit the big screen in March 2018. The adventures are also set in Beatrix Potter’s beloved English Lake District. 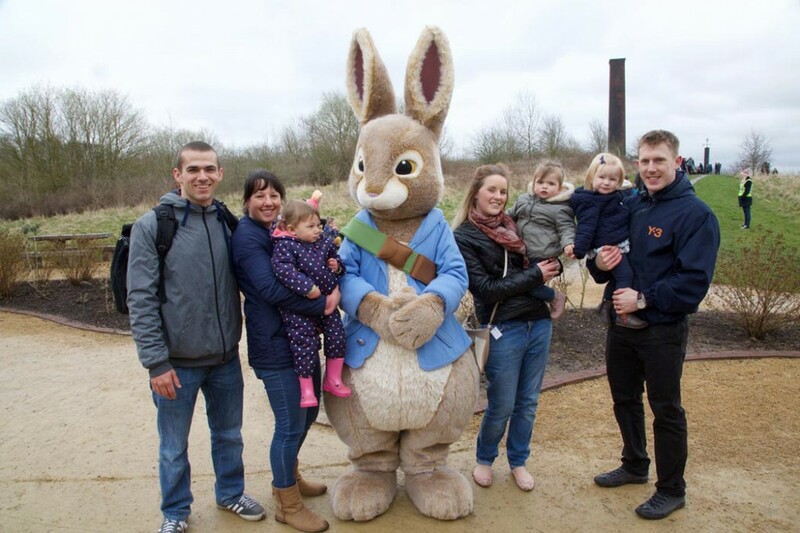 Character costumes Classic Peter Rabbit and Peter Rabbit TV are available to book to attend UK events.